« Should you bathe more often than once a week? 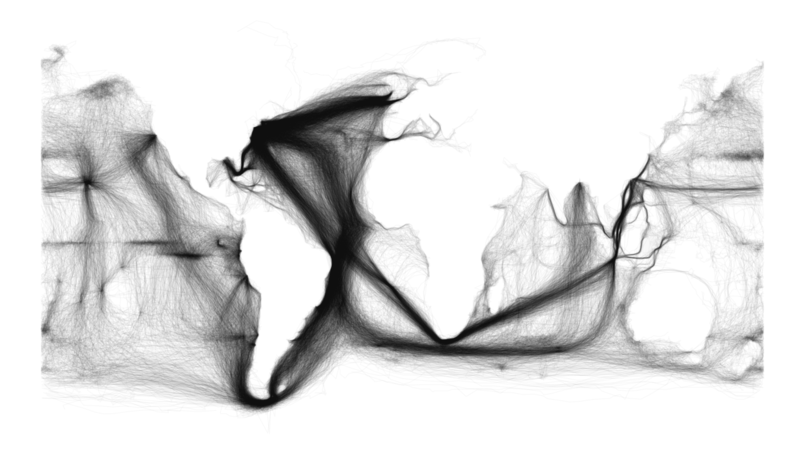 This amazing graph shows you the populair sailing routes in the 18th and 19th century. The white parts are continents. Isn’t it amazing?